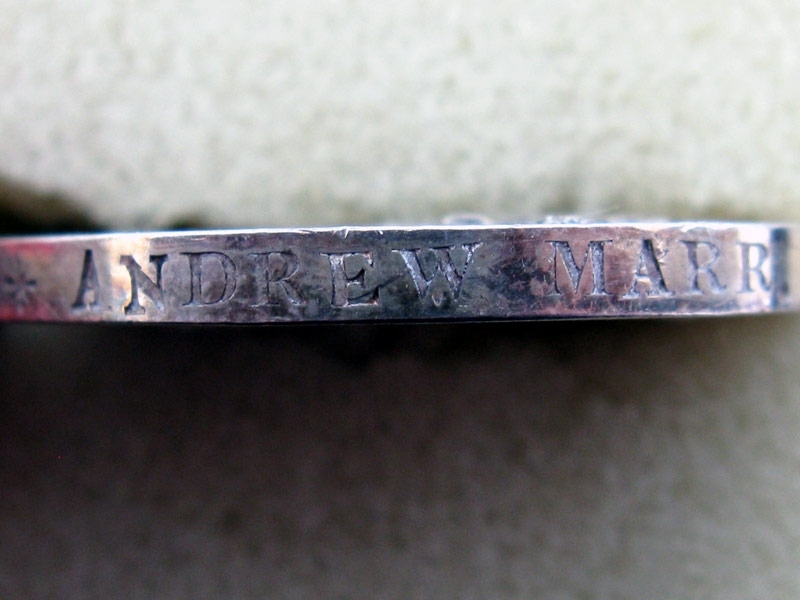 Medal officially impressed to "ANDREW MARR. 26TH REGIMENT FOOT." 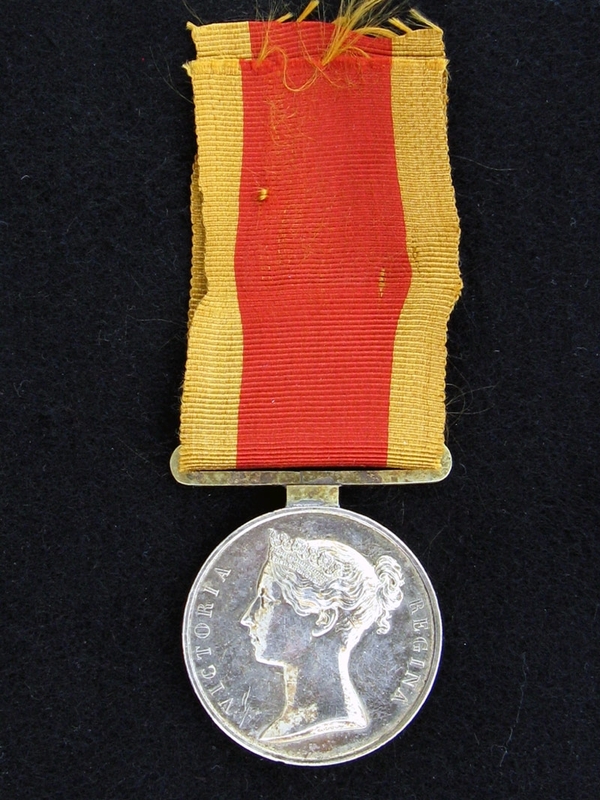 While engraving is worn slightly, the medal is has crisp detail and remains in extremely fine condition. 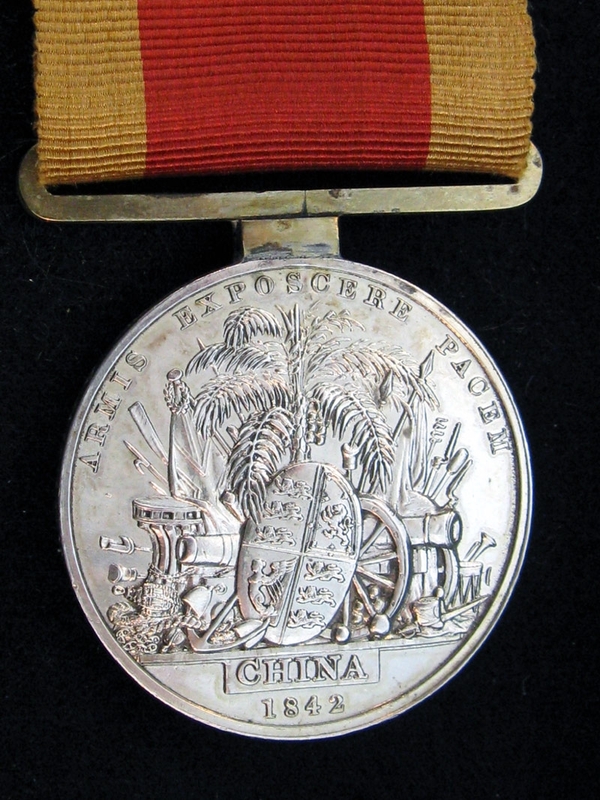 The First China War Medal was originally intended by the Governor-General of India, in October 1842, to be awarded exclusively to all ranks of the Honourable East India Company's Forces. 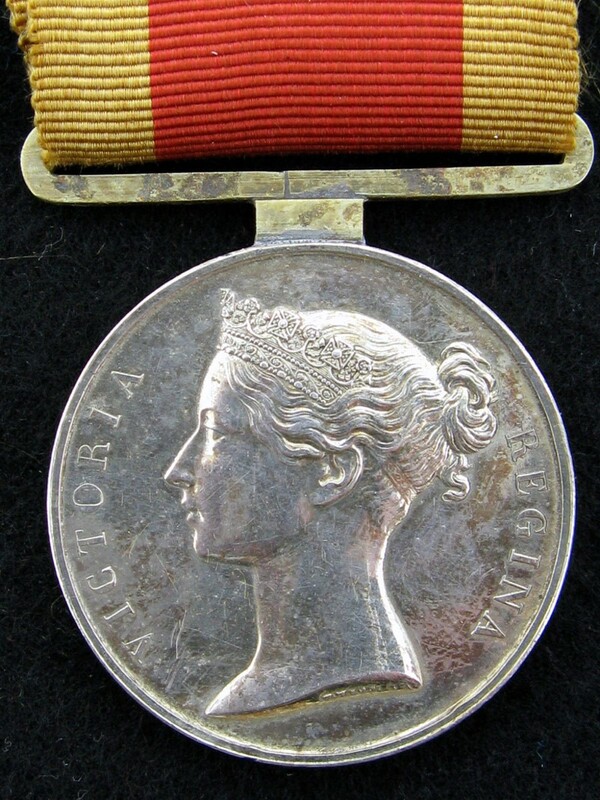 Instead, in 1843, under the direction of Queen Victoria, the British Government awarded it without clasp to all members of the British Army and Royal Navy who had "served with distinction" between 5 July 1840 and 29 August 1842 in the following actions :In the Canton River, in the operations of 1841, at Chusan, in 1841 and 1842, at Amoy, at Ningpo, at Chinpae, at Tsekee Chapoo, in the river Woosung, in the Yangste-Kiang, and in the assault of Cing-Kiang-Foo.' This campaign became known as the 'First Opium War', ending in the seizure of Nanking. The resultant treaty opened five ports to trade, and ceded Hong Kong to Great Britain.